It’s finally happened. The corporate insanity overtaking my hospital is driving me nuts, and I’m looking for a new job. I sent my resume to these nurse recruiters and they are trying to help me out. I told them I want to work in a place that truly values their nurses, and they understand that I’m not a corporate drone. I won’t sacrifice patient care in order to make someone else rich. I hope these gals can help me find a job like these nurses have. Take a look. Emergiblog nursing cap scale. Nurse Nan has a collegial relationship with the doctors. They never scream at her or try to belittle her at the nurses station. Doctor James is assessing his patient, and he asked Nurse Nan for her opinion about the patient’s condition. Dr. James understands that nurses are intelligent professionals, and that they are the cornerstone of good patient care. This sounds like a dream job, but on second thought, I’ve been away from medical-surgical nursing for a long time, so I don’t know if I could do this job. Here’s a job that looks intriguing. I want to work where people notice my special talents. Look what happened to Student Nurse Kitty Walters. She’s not even out of nursing school yet, and some hotshot movie producer wants to make her a star. 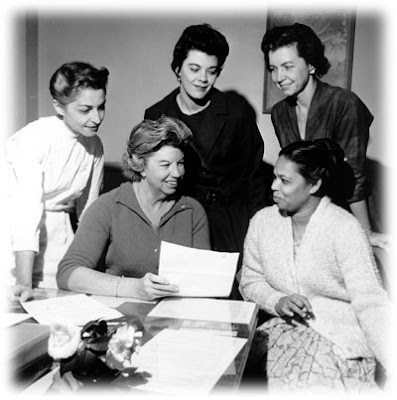 Every nurse is a star in his or her own right, and fewer nurses would leave the profession if employers appreciated them and treat them with respect. Perhaps I should send my resume to a talent agent. 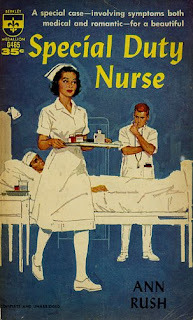 Maybe some movie director is looking for an old burned out psychiatric nurse to play the role of Nurse Mildred Ratched in a remake of One Flew Over the Cuckoos Nest. I’m ready for my close up Mr. Demille. Nurse Marcie is a very lucky young woman. She has a dream job complete with her own island and her own yacht. She also has a cute guy waiting on her hand and foot. He is at her beckon call. Nurse Marcie has the luxury of working in a serene environment, surround by nature. She works independently, and her patients treasure her. 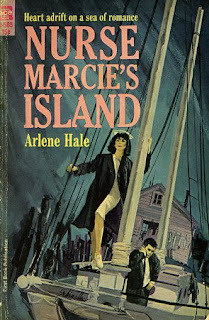 I’m asking my nurse recruiters to start looking for an island that needs a psychiatric nurse, but I’m not holding out much hope. I doubt that too many people become depressed while living in an island paradise. Drat! While the recruiters are looking over my resume, I’m going to start looking for my dream job at nursingjobs.org. They have a lot of listings, and you never know what you can find until you start looking. You deserve your dream job! 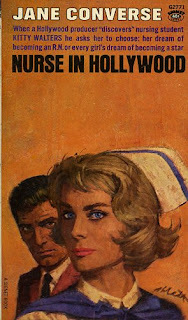 And, I should remind you, in addition to probably being an outstanding nurse, you are also a very, very good writer. I, too, am looking and am amazed at what an updated resume has done for my search. I have posted my resume on some of the professional organizations websites (good news is you don't always have to be a member to post). I would encourage you to look at what some of the professional organizations offer in terms of posting resumes. I found this works better for me than sites like monster, which has so many folks posting to it your resume can get lost in the shuffle. I hope that you find exactly what you are looking for in new employment. You and all nurses deserve a job where they feel welcome and worthwhile, one where they can develop their skills and feel freedom and confidence in what they do. I want to find a job where I feel that I am making a difference in the world. I hope that I can find that when I graduate one day. hope you find a better place. as for your present place: i feel sorry for them for losing you. Best of luck in finding your dream job, MJ. I wish you the best in your employment endevours, but the bottom line is that the entire world is just like the hospital you decribed. The bigwigs with the expensive furniture, the private bathroom, and the company paid H2's or Beamers that no one else can afford that works there. We have the same problems at my employer and I do not work in the medical industry. I do indeed see a repeat cycle although our jobs choices are the difference between night and day. The higher administrators only care about their catered luncheons every week, their brand new Beamers and Lexus's every two years, and what other amenities they can charge the company for ridiculous amount. When the cash flow start to come up short, it isn't the administrations fault, but the employees beneath them. The employees, which are the backbone of the company untimately pay the price. They pay it by fewer pay raises, loss or drastically reduced health insurance (and higher premiums or copays for employees), and fewer fringe benefits such as company not matching pension or 401k. I really wish you the best of luck and can find an employer that treats its employees with respect and pleases their employees, whom made the company profitable. I hope you find an employer who cares for its employees and only has the utmost respect for them. I hope you find the "dream job," I know I have been for ten years. LOL. Go for Hollywood! You might end up on 'House' or something like that. I truly hope you find that job!! In fact I'm 95% there on doing the traveling gig. We have children in 3 other states, so why not. I'll stay here per diem for the off months. Life's too short, go for that dream !! I hope you find what you're looking for. It seems like we lose two or three of my favorite nurses every year. LOL I think it is time you stepped out of the hospital and got into some home health nursing. It is a gtreat job and the hours are much betterthan the hospital for sure. I will never go back to the hospital if I can at all help it. I got head hunted 2 times yesterday before lunch!